Makes a striking 3-4 ft. hedge. Best in hot-full sun conditions. Drought tolerance after established. 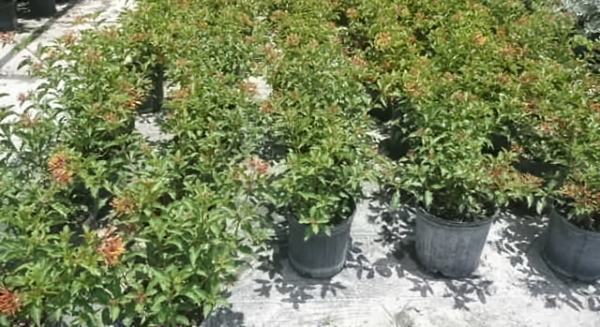 This native shrub is adorned with red-bronze foliage and bright red tubular flower clusters. 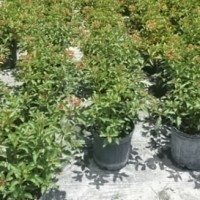 Wonderful landscape plant for attracting butterflies. Does well in containers where it can be placed on a patio in summer.